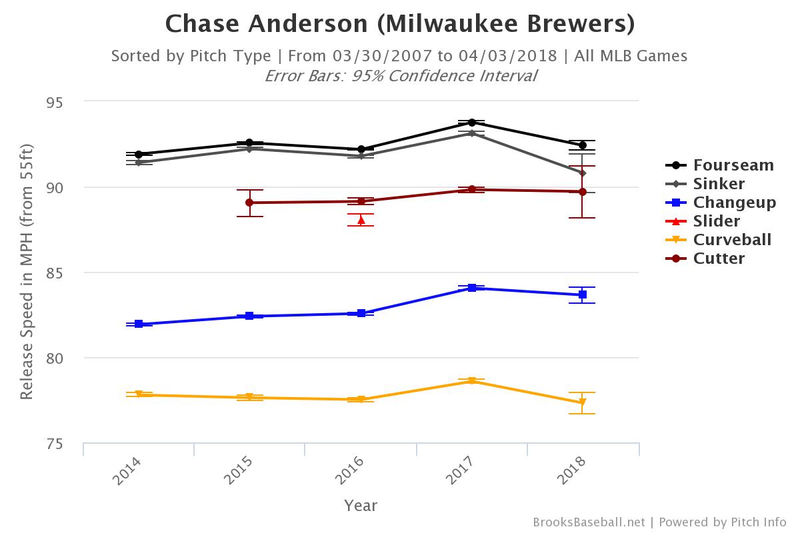 As we all are aware at this point, Chase Anderson had a breakout season last year. In 25 starts, Anderson posted a DRA- of 86.1 and a cFIP of 94, which was the first time he had been better than league average by either of those metrics. His 8.5 K/9 and .265 BABIP against were each also his best marks. All of this sounds like a career year that we should not expect to recur, and yet there has been some optimism around Anderson heading into this season because he demonstrated a new approach last season. Among Anderson’s big changes last year was a velocity spike that impacted all his pitches. Because of that increase, he was able to rely more on his four-seam fastball and cutter, which subsequently resulted in him using his sinker less. This is a plausible explanation for Anderson’s improved strikeout rate; sinkers are traditionally used to induce contact because their movement is more subtle, while cutters have sharper movement and can resemble sliders that dart away from bats. Increased velocity on its own can help create more swings-and-misses. When that is paired with a move towards more dynamic pitches, batters will whiff more often. 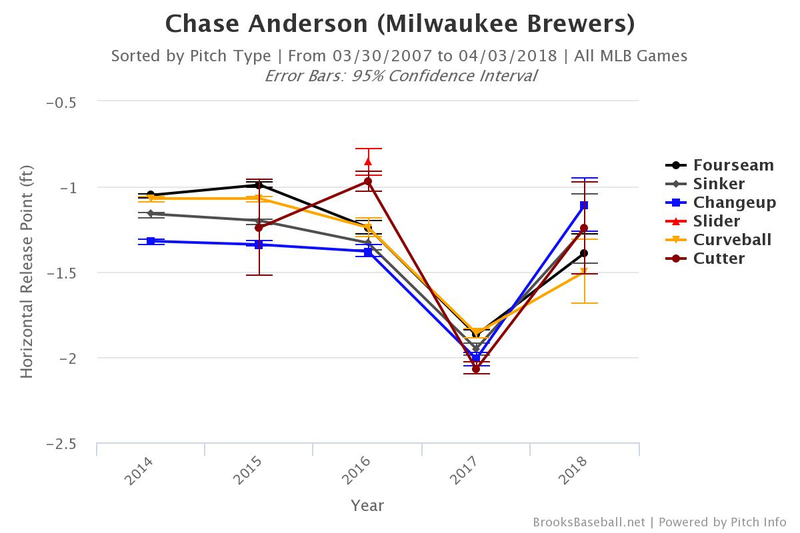 As we head into 2018, whether Anderson maintains this improved velocity will be something to watch for. Where that velocity change came from is an interesting question, though. We don’t have complete answers about how mechanical tweaks impact pitch effectiveness; if we did, pitchers would know exactly what they need to do to improve certain pitches. We do know, though, that pitchers are constantly making adjustments, and occasionally they find changes that work. 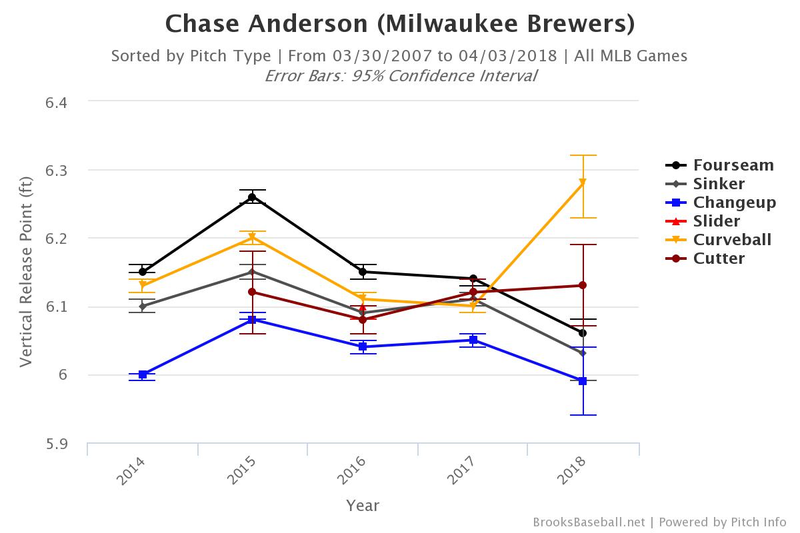 Brewers’ pitching coach Derek Johnson has a reputation for helping pitchers find tweaks that work for them individually, and so it is plausible that Anderson’s velocity spike is a result of a mechanical adjustment. Another change is that in 2017, Anderson’s release point moved from where it had been in years past. His horizontal release point shifted over six inches from where it had been the prior year, but his vertical release point did not really change. This likely indicates that Anderson moved sideways on the rubber, although off-center camera angles make that hard to confirm. The exact consequences we should have expected from this shift are unclear. 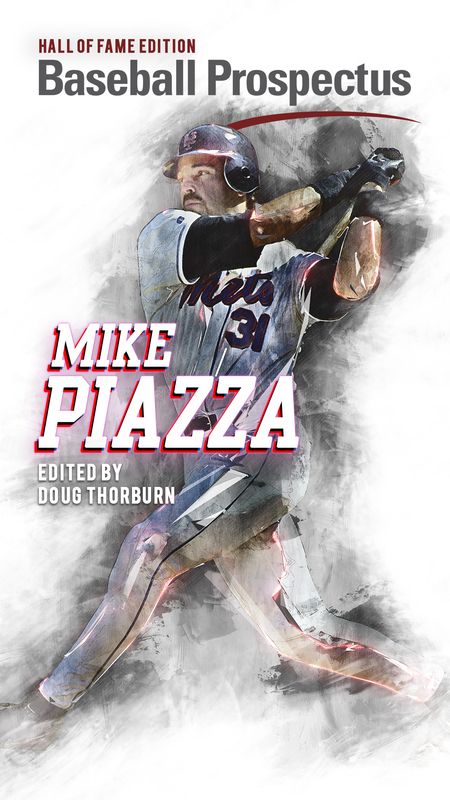 Moving on the rubber can impact the level of deception a pitcher can create because it changes the hitter’s view of the ball coming out of his hand, and it can therefore help neutralize platoon splits. 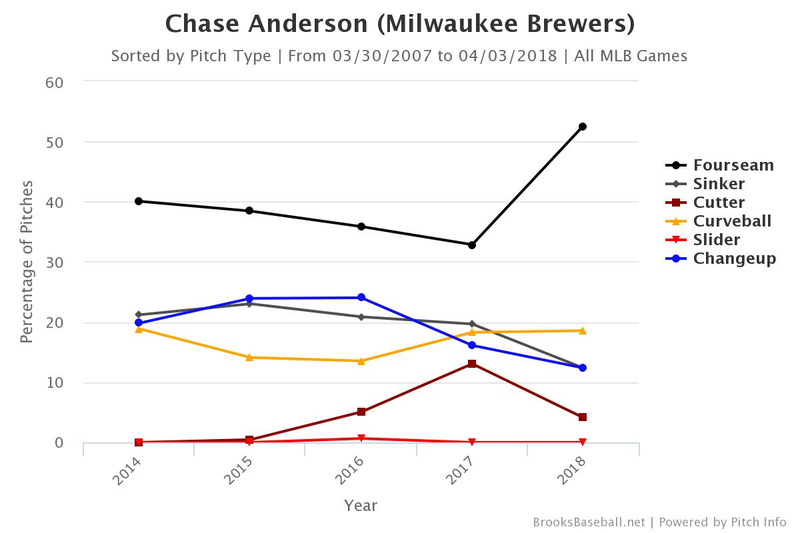 Because there was no change in Anderson’s platoon splits (he continues to have a reverse split), though, I don’t know why this change would have made him better. Additionally, moving on the rubber would not have caused a velocity increase. Not all mechanical adjustments show up in what the PitchF/X or Statcast cameras capture; for example, a more compact motion could increase velocity because a pitcher is better balanced, but this would not necessarily cause a corresponding release point change. Similarly, it seems as if Anderson’s mechanical tweak is not captured by release point data. The big question for 2018 is whether Anderson’s improvements will continue. The two trends I identified above are two keys to watch for as this season begins. 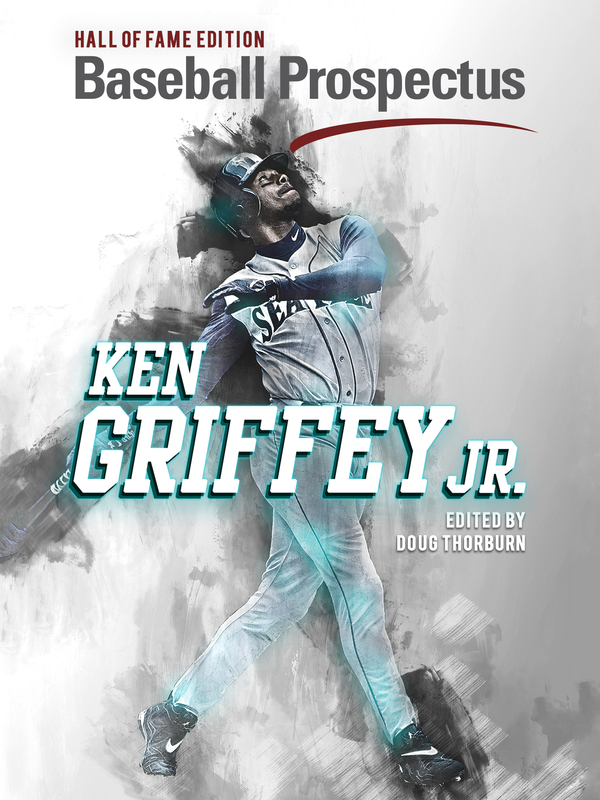 His velocity spike is likely the biggest factor in any potential continued success, as a better fastball allows off-speed pitches like a curveball to play up as well. 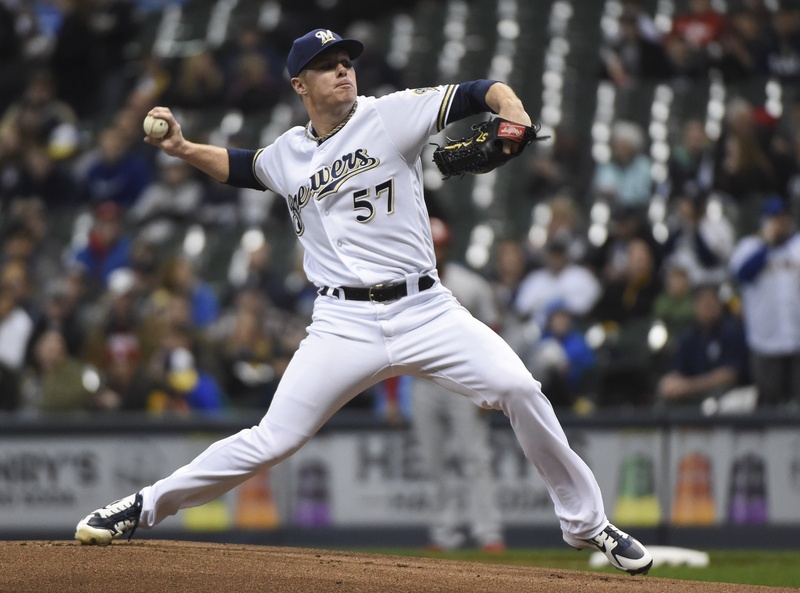 But whether he moves on the mound again will be interesting as well, because it would indicate he is uncomfortable and feels as if he needs to make changes. The 2018 data in the graphs above are through his first start only, so it is an incredibly small sample size. Pitcher velocity tends to increase after April, so any current decline is not necessarily worrying. But it would be encouraging to see Anderson’s fastball velocity tick up towards his 2017 levels as April progresses. If that increase does not happen, I would begin to be worried about which version of Anderson we will be getting this year.